The Housatonic Museum of Art sponsors events throughout the year. Many of these events are in collaboration with other organizations. Most events are free and open to the public. Students and the Community will gather to brainstorm the ways in which this project can work to engage Bridgeport in meaningful conversation in order to create a public program together. Centering on the Mary and Eliza Freeman Houses, a series of sculptures incorporating glass casts of the front porch of Mary's house will be activated through public discussions and performances developed by, and pertinent to, Bridgeport's diverse neighborhoods. The Freeman Houses are the oldest standing structures owned and built by people of color in Connecticut, and even more importantly, by unmarried women at a time when women were not allowed to own property. These buildings are all that remain of the radical, multi-ethnic community, Little Liberia, a place that was founded as a model of equity. This project seeks to revive that model. 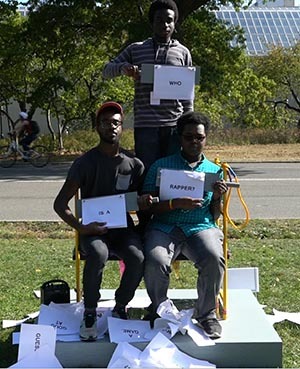 THE collection at Housatonic Museum of Art will set the scene for a sophisticated and challenging scavenger hunt in the stunning and newly designed Housatonic Community College. Using your wits and keen tracking skills, pit yourself against other players for a unique and professionally crafted scavenger hunt. WHILE hunting, enjoy decadent desserts and smart cocktails at our Sips and Sweets Faire with fun activities, live music and a fabulous silent auction. 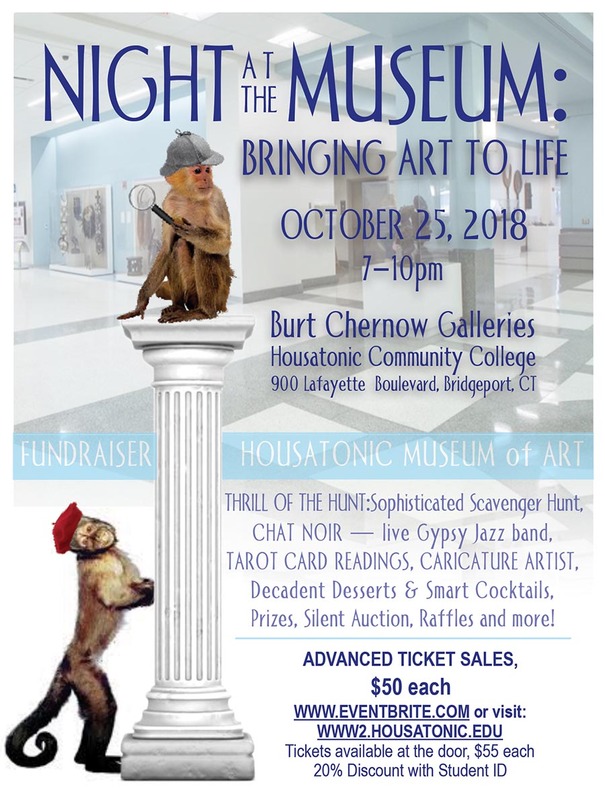 Join in the excitement as the Housatonic Museum of Art brings the ART to LIFE in this thrilling scavenger hunt and fundraising event. October 25, 2018 from 7PM to 10PM. Stay Close. Stay Curious. Stay Fascinated.